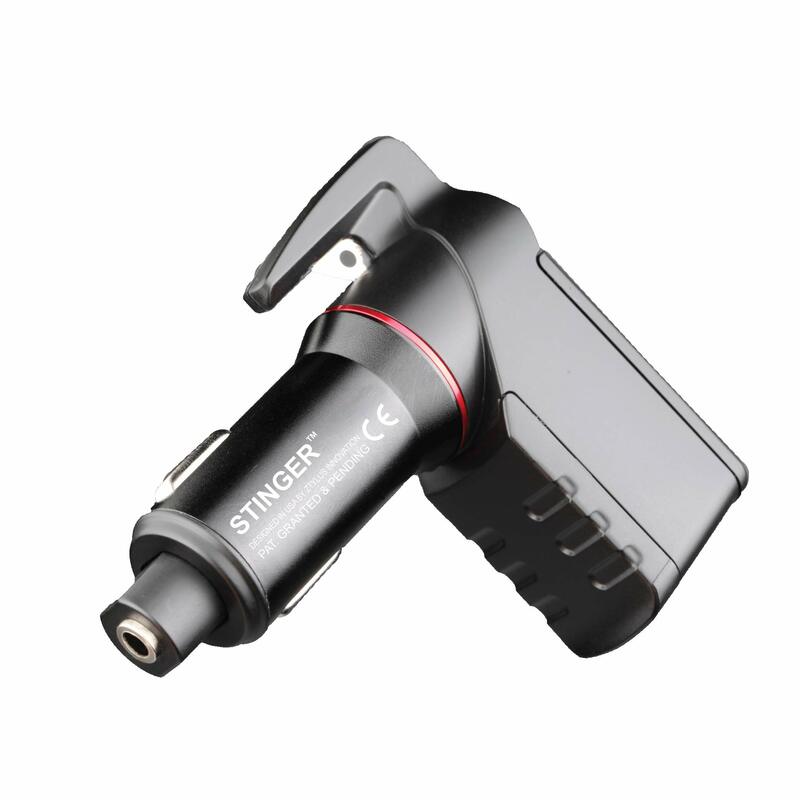 LIFE-SAVING : The Stinger Emergency Tool is the original design, patented emergency escape tool that can be integrated into everyday life. 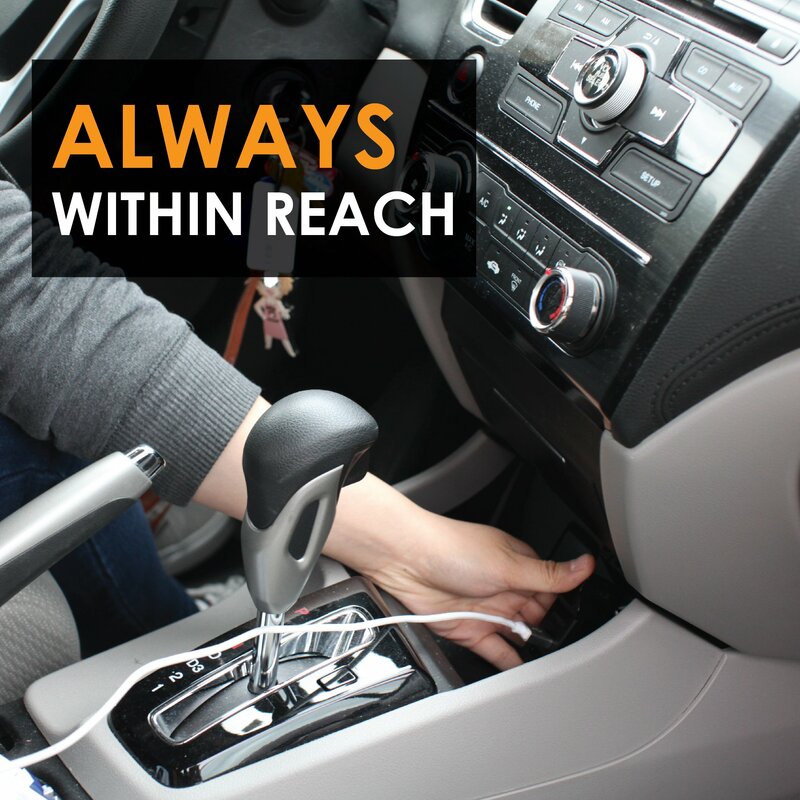 It is a useful gadget that you should have one in the car. 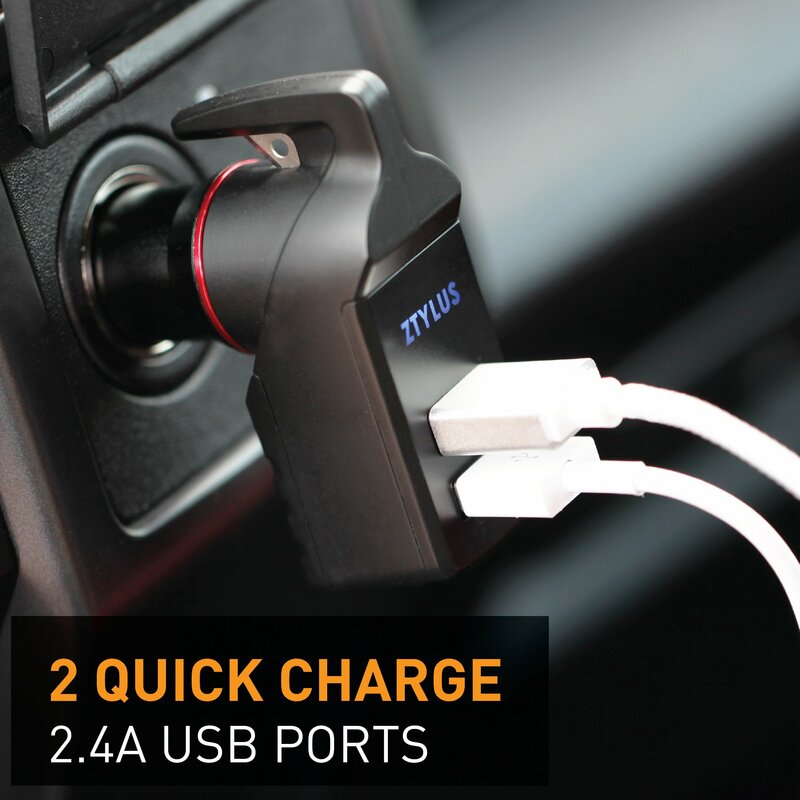 It provides a daily function as a phone charger that you can use every day. 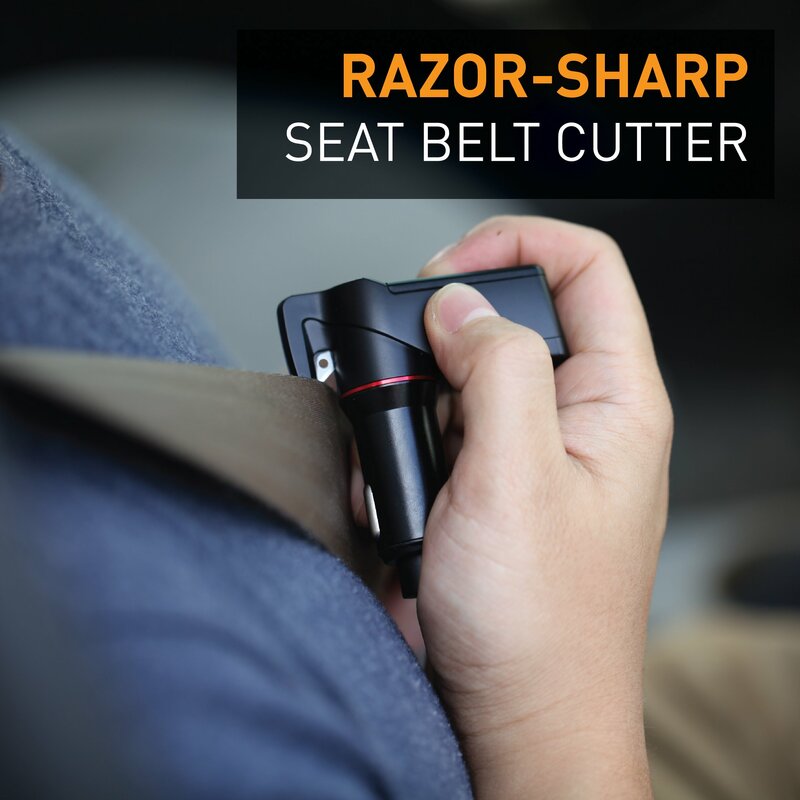 And plus two emergency tools that could save lives when involving in the car accident. 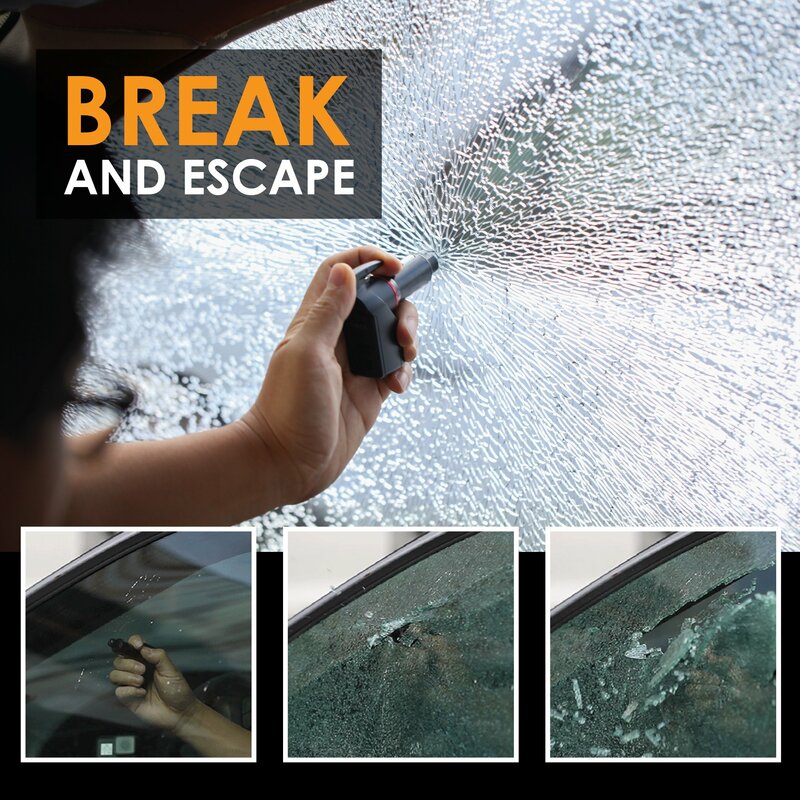 BREAK AND ESCAPE: The spring-loaded glass breaker works easily and quickly to smash the side window (NOT windshields or laminated glass) and gives you the best chance for escaping the vehicle. 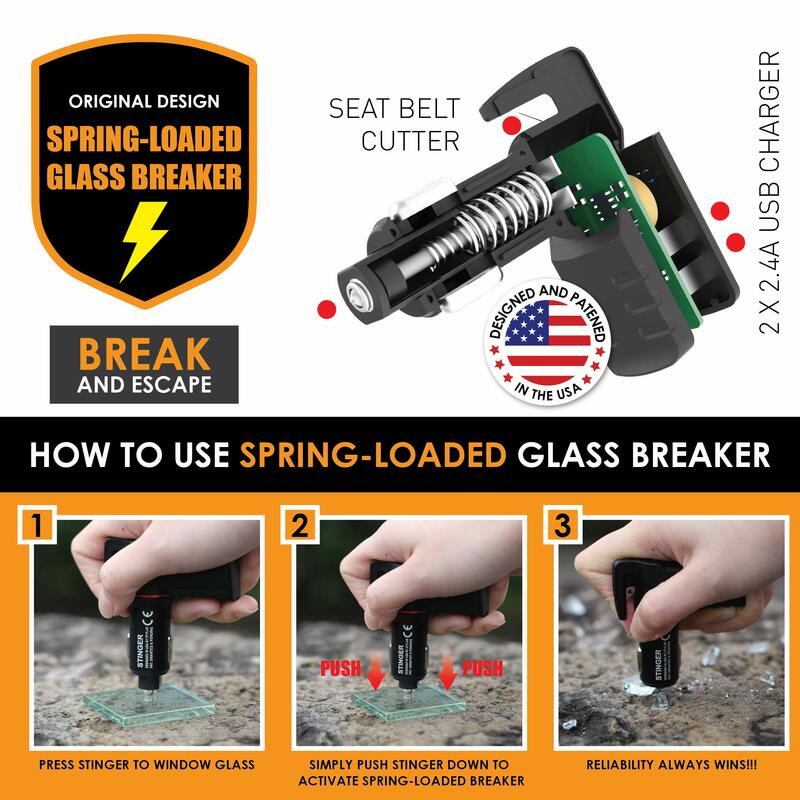 The spring-loaded design is more efficient than an emergency hammer, just simply push the Stinger all the way down against the window with a very small force, even a kid can use it. 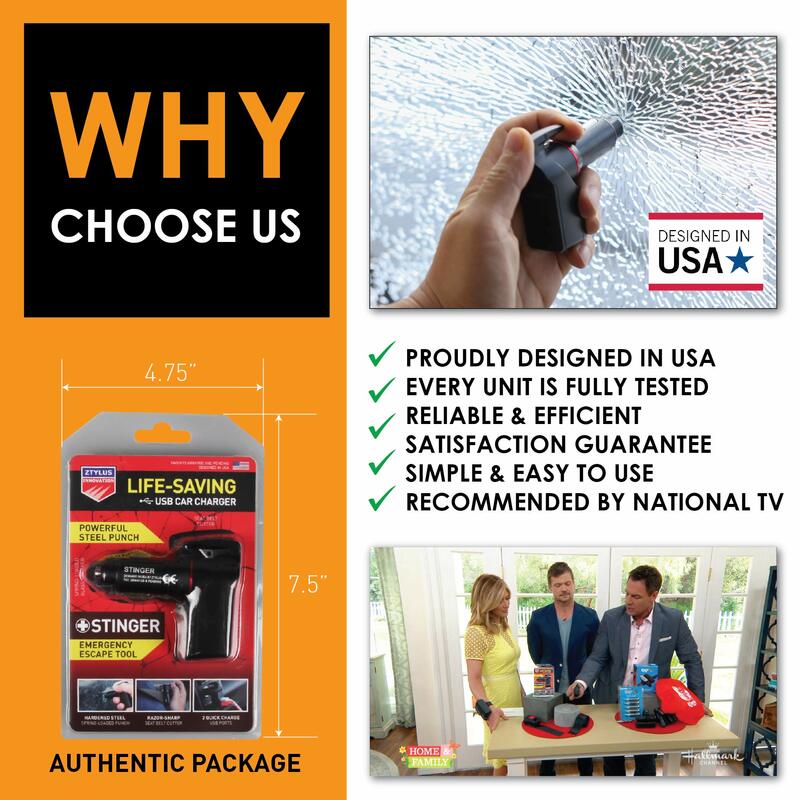 Also, please consider in some scenario, there may be not enough room the swim your arm to use the hammer to smash the window.